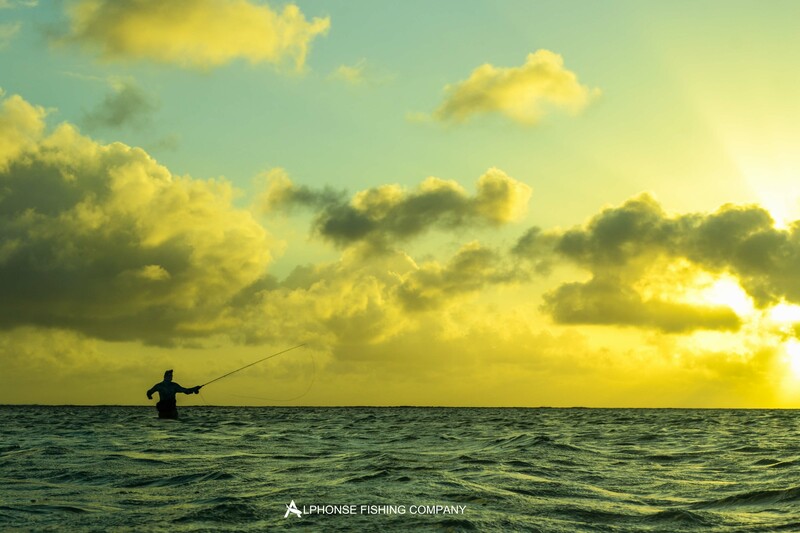 As was the case over the last few weeks the testing weather continued to surround the Seychelles, bringing strong winds and cloudy conditions, to the extent that our 10 anglers had to spend 2 days fishing Alphonse. 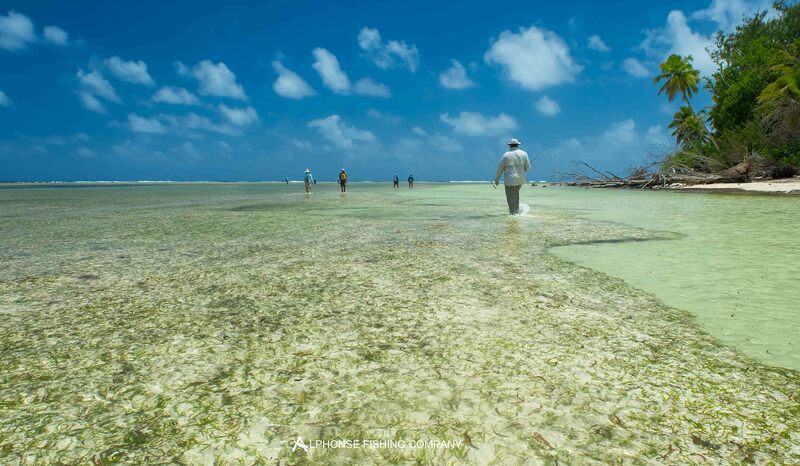 The lagoon was clean, cool and the tides where perfect for fishing the inside of the lagoon. 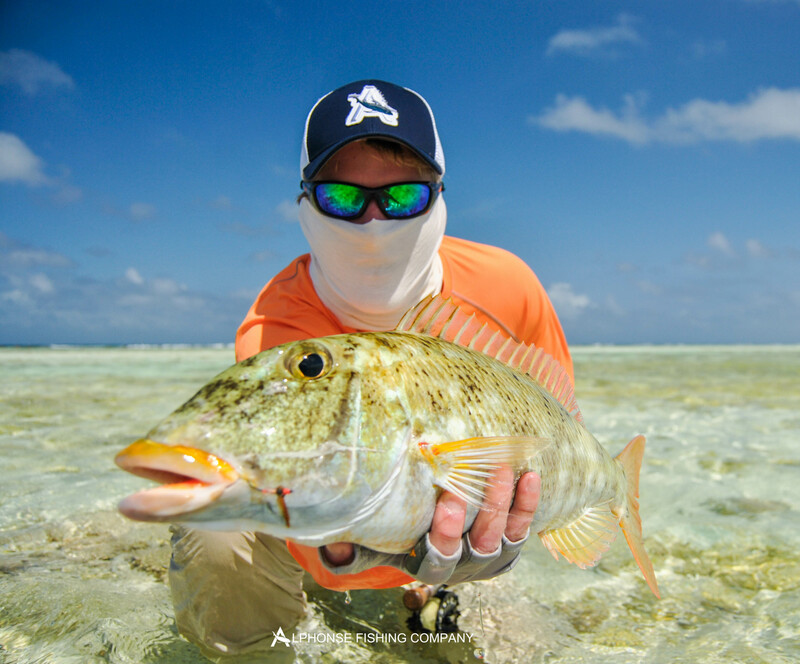 True to form the unsettled weather enticed good amounts of feeding permit both onto the flats at St Francois and Alphonse. 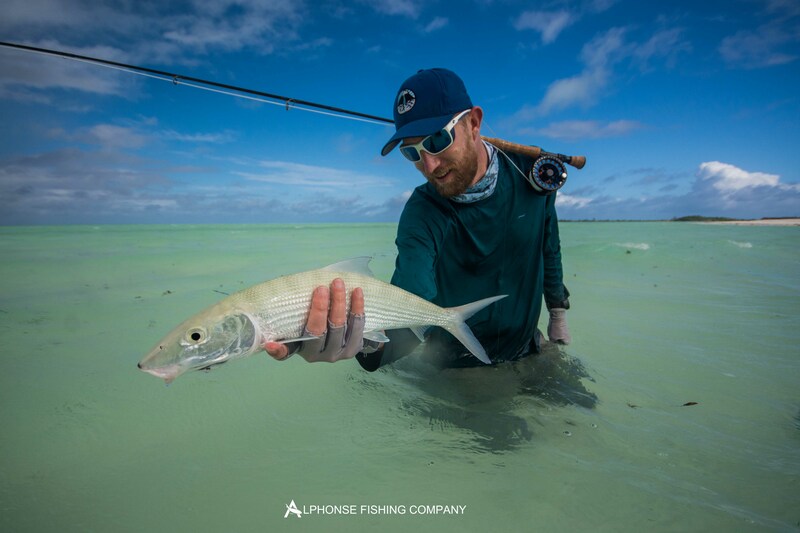 On the fist afternoon while based on Alphonse, Collin Campbell landed the first indo of the week, which was his second in two weeks. 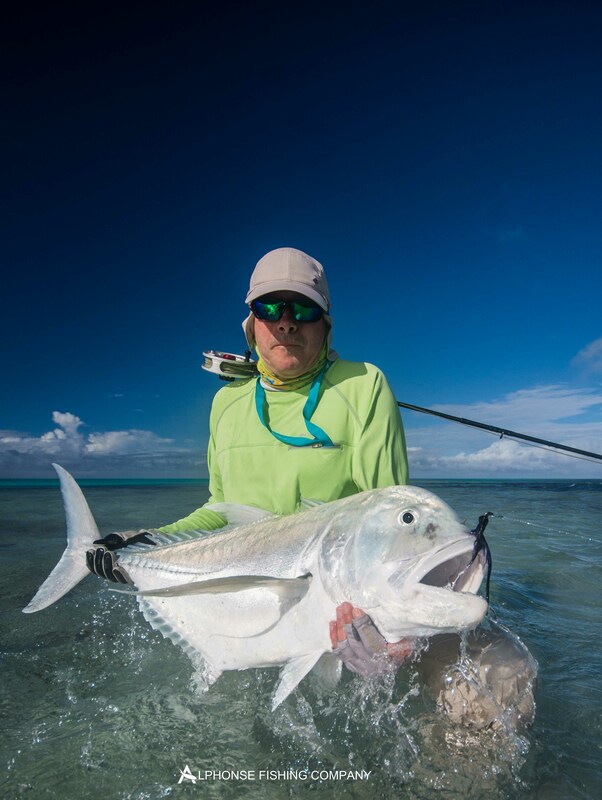 After the quick start the success ratio dropped considerably with numerous bites, hook-ups and two break-offs, until Istvan Virag finally managed the second permit of the week. It was a day to remember as not only was it Istvan’s first indo-pacific permit but also his birthday. 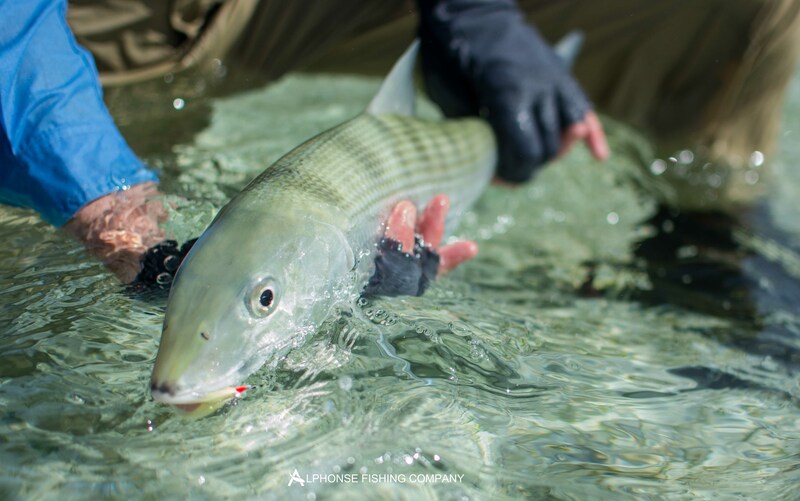 The bonefish numbers average between 126 and 152 per day, with some fantastic tailing bone fishing to be had at times. 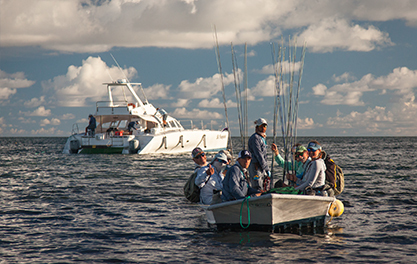 The cooler water also meant that there were a fair amount of fish caught in the six to seven pound range. 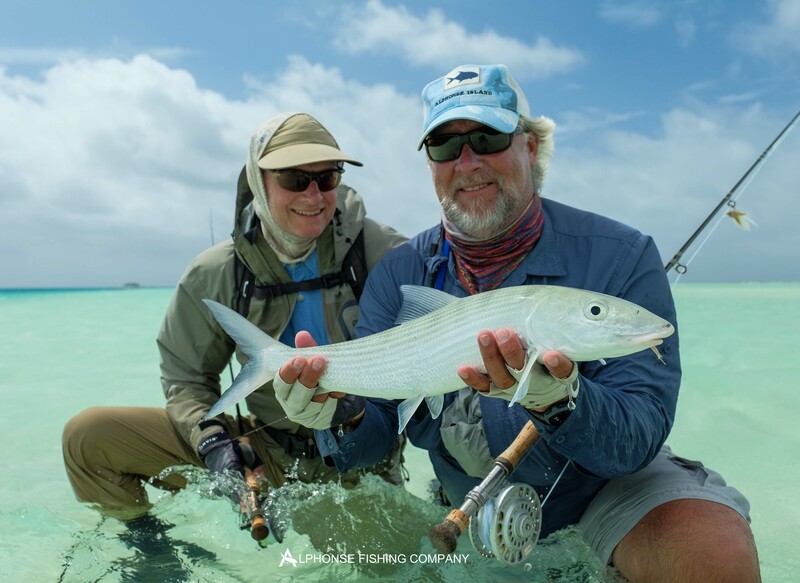 Brothers Jack and Teddy Coulter where the first off the mark when they caught a brace of moustache triggerfish on the first day. 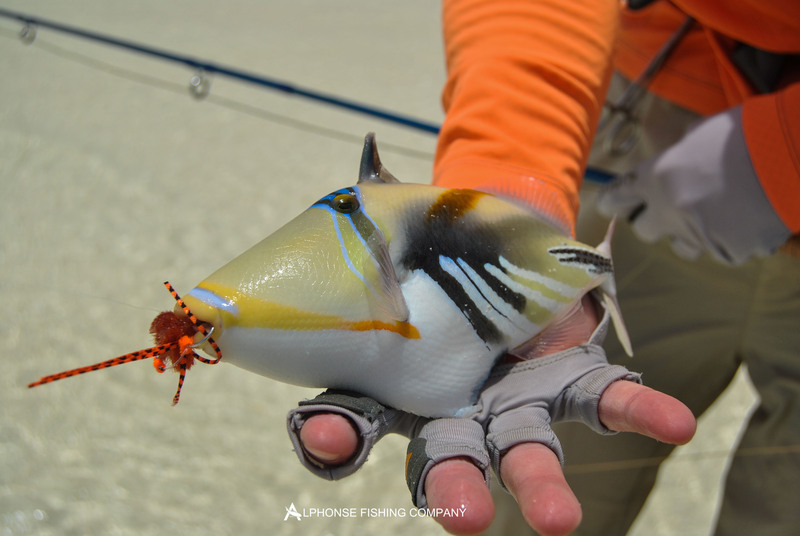 Later in the week they were nominated as the triggerfish kings as they both racked up another moustache triggerfish each. 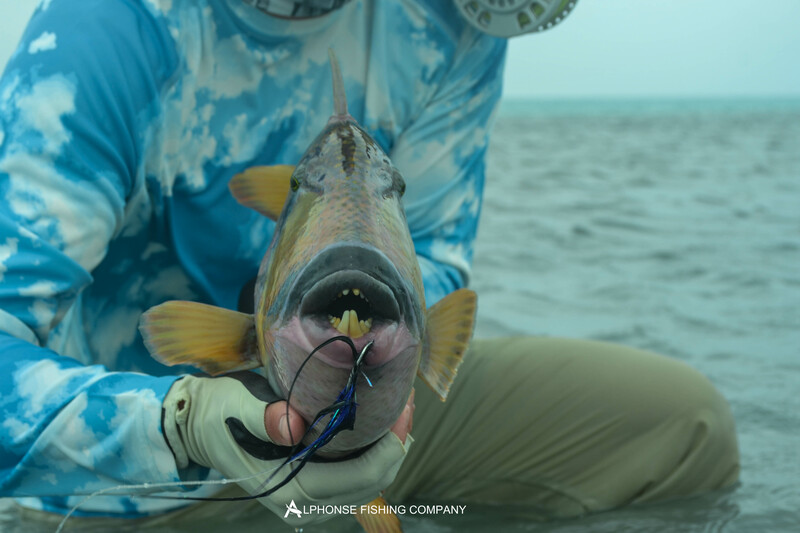 Terry Box landed his first moustache triggerfish while wading the surf on Alphonse, making a final tally of six for the teams week. At the beginning of the week there were good numbers of GT’s around with brothers Jack and Teddy bagging a fish each. As the week progressed and the weather got progressively worse the GT sightings reduced. 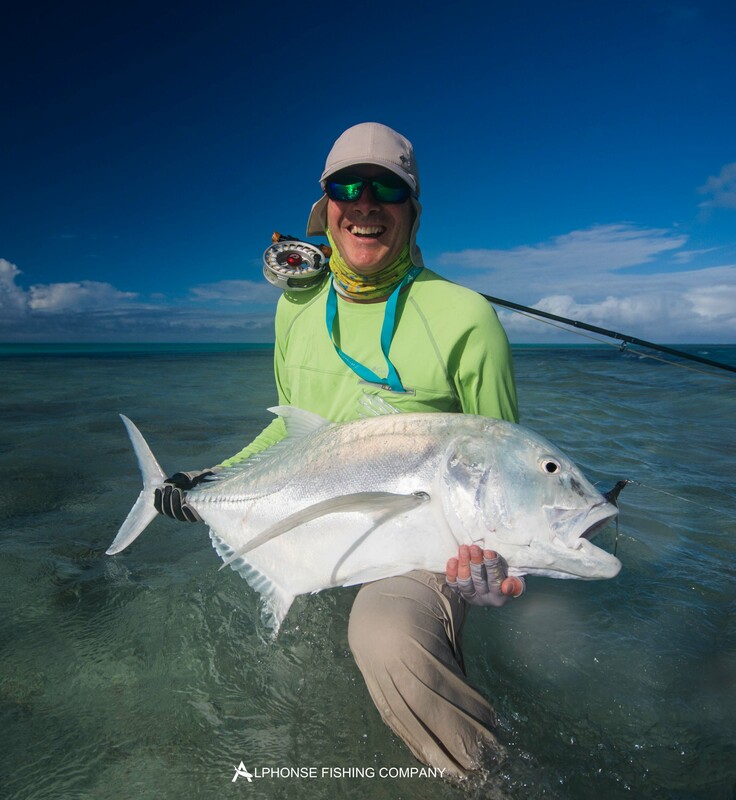 Big fish Friday produced once again when Teddy and Jacks’ father, John, was not to be outdone-by landing the biggest GT of the week, measuring 106 cm. Another great weeks fishing even though the weather was far from playing its part. 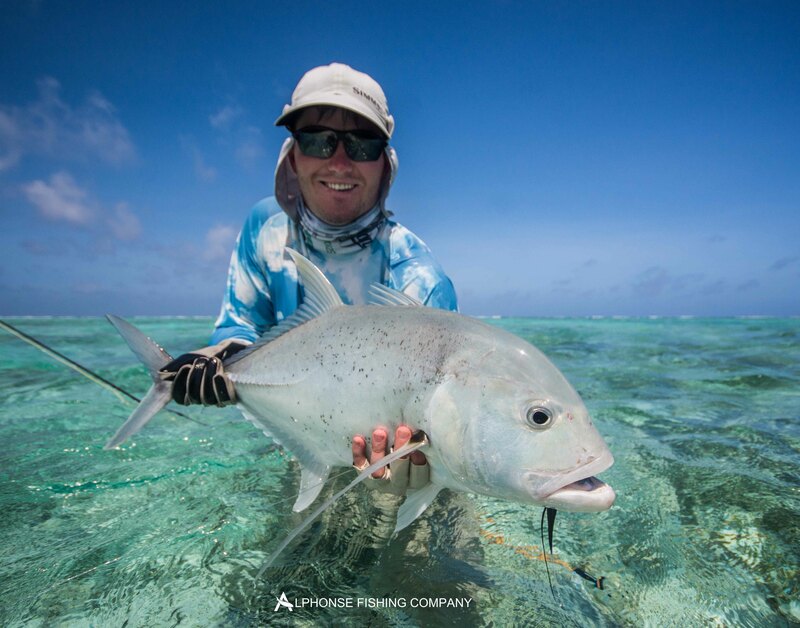 Tight lines from the Alphonse Island team.